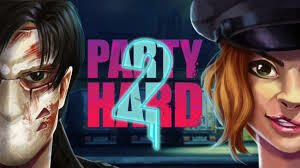 Party Hard 2 is the sequel of the first Party Hard, developed by Pinokl Games Kverta and published in a tiny Build. It is available in Alpha 1 stage on steam. Hello Party People! Welcome back to Party Hard! .It’s 3am and you just want to get some sleep. Stop parties using hundreds of new ways, incidentally destroy a drug syndicate, and save the Earth from an alien invasion. May the chickens be with you! 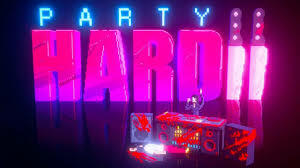 Buy Party Hard 2 and get a 10% off. The player is a crazy person and want to stop the party.to begin with he has to kill somebody in order to stop the party you have many ways on how to do it,namely destroy a drug syndicate and unique way of killing for this reason you will get points . In addition you have to be cautious on not getting caught when you kill them. This game focuses on how to dealt with the party goers and how to solved it by killing them. You have to used any ideas to makes sure that the party must stop in any ways, with the help of the players dancing and blending skills, with each kill the player will get the amount of points it depends on what action you may take to aim it. Party Hard 2 contents frequent use of alcohol, drugs and cartoon violence, and may not be suitable for all audiences parental guidance is advice. What Will The Gaming Trends Bring You In 2019? Major mobile phone service providers have acknowledged the emergence of fraud cases for the past months.